Looking for a set of coilovers that can handle street and track use? 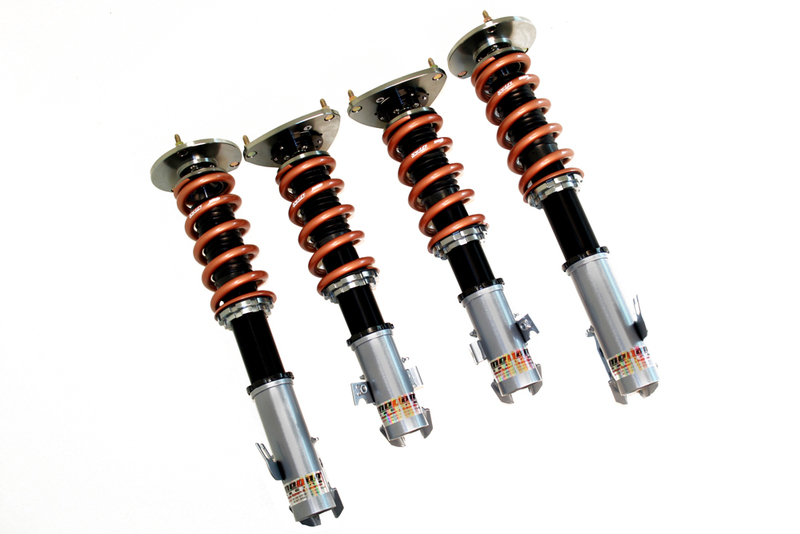 For instance Megan Racing has developed a new series of fully adjustable Coil-Over Damper kits for limited applications. 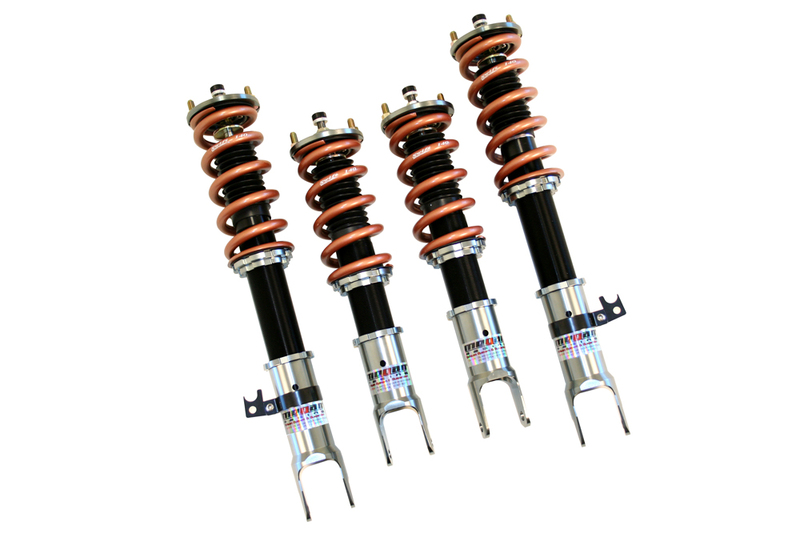 Secondly the new Megan Racing Swift Track Series Coilovers feature performance and dependability you can trust. 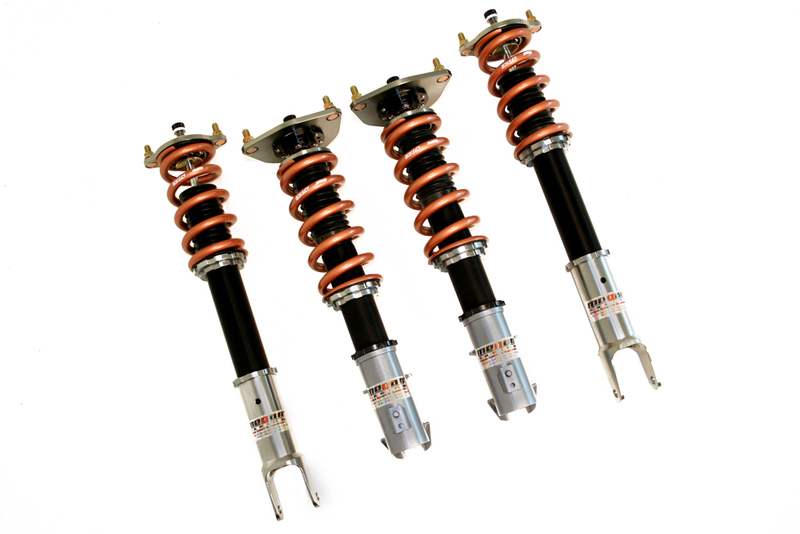 Swift Track coilovers feature gunmetal finish for the brackets and Swift Metric Coilover Springs for lighter unsprung mass. Additionally you will experience smoother weight transfer, lower tire temperature, and increased ability to anticipate vehicle reaction. It is apparent that the Megan Racing Swift-Track-Series dampers mean business. However, beyond their aggressive appearance stands the true essence of these Dampers. The increased spring rates, mated with more aggressively valved dampers, stiffer shock setting, and heavy-duty piston construction add up to a suspension system that out-performs most competing suspensions that retail for almost twice the price. Set as an option for those who demand a more aggressive suspension setup compared to our Street-Series, the Swift-Track-Series provide higher spring rates. 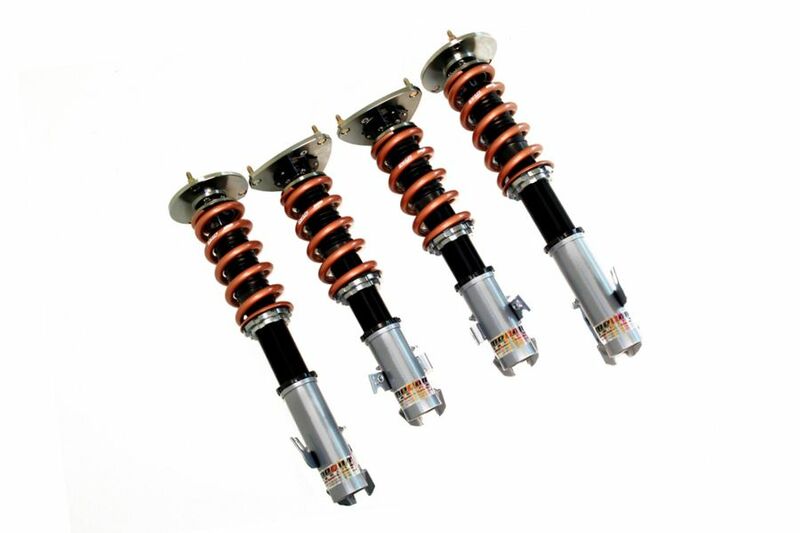 This accommodate for smoother circuit and road course conditions with matching damper capabilities to handle the heavier spring rates. Furthermore the ease of use and adjust-ability remains the same to that of our Street-Series Damper Kits. Finally ride height, camber adjustment (for strut-type applications) allow the full customization of suspension tuning while retaining full shock stroke. In conclusion it allows you to set the corner balance of the vehicle to optimize the handling characteristics.